has hoof and mouth ever done the grape? Greetings all. As our work firewall is down it seems, tuning in from the Financial District near the tip of Manhattan. A day off and a double shot of Joe(s) and rock-n-roll on FMU! Good Monday to ye! Looking forward to Bob Mehr and tales of the Replacements! hello from chelsea joe and everyone! Greetings everyone! thanks for tuning in! at 1 pm, gonna be talking with the producer of the new Replacements live album, Bob Mehr! should be cool! Hola a todos, New Mexico here. Somebody come get your horse, please. Holy cow, this sounds great! Sounds like a must have, this Mats live! (I suspect not all live dates were that great, never got out to see them). dr jazz - they werent - i was at the show right before this. doubt they will be releasing that one! because i JUST might LOSE IT! thanks for playing the mats Joe B! Why are The Replacements getting so much rotation on FMU lately? Did someone die? Was anyone at the City Gardens show in '84 when they opened for The DBs? They were relatively sober and rocked. they played there twice in 84. unfortunately i wasn't at the good show! Hello Joe, Bronwyn, all! Let's rock, shall we? Oh! Sorry, didn't mean to sound so snarky. I'm happy it's a positive reason! @Joe B Pretty sure it was December and freezing. I think it was possibly the last gig of the tour? john i think the other one was in august. and it might have been at the otehr place down there that randy now did shows at ... in florence? I guess I'm just a bit jumpy these days. With all the rocknroll deaths in the past couple of years whenever I start hearing an artist multiple times across multiple djs it's hard not to think "oh no!" tim lee 3 singer reminds me of somebody. hmmmm. u guys im going to the sparks album signing at rough trade tonight!!! i am going to be in the presence of my spirit guide, russell mael! what do i do? what do i say? ask him why ron gets all the girls. @bob: a couple weeks ago the beach boys trended on itunes and i started freaking out like "who died???" Ask him if he likes L.A. and if so, why. @BrownwynB: yeah, another dj played three Black Sabbath songs in a row and I was like "No Geezer no!" Re: Replacements at City Gardens in 1984. Was the bad show the one where the Rettmans opened? Paul smashed his guitar at that one. This reminds me for some reason that listening The Replacments cover of Black Diamond and Kiss's cover of Do you Remember Rock & Roll Radio on the same day is why I could finally able to listen to Kiss. not even the replacements could get me to listen to kiss. By the way saw Bash & Pop open for Psychdelic Furs last week and they were so on. I love this version of "Can't Hardly Wait." I like every version, really, but this one has so much punch. @David The show I was at The DBs were headlining. The Mats didn't do anything crazy that I remember. Both bands seemed weary from the road but when they played their energy came back. Agreed, haven't heard a version of Cant Hardly Wait I didn't like, this one is up there, great! Bob was an amazing thing to watch and listen to. Such strong strange energy from the entire band. Never had the good fortune to see them with Slim. mary: Live album release. Everything is ok! 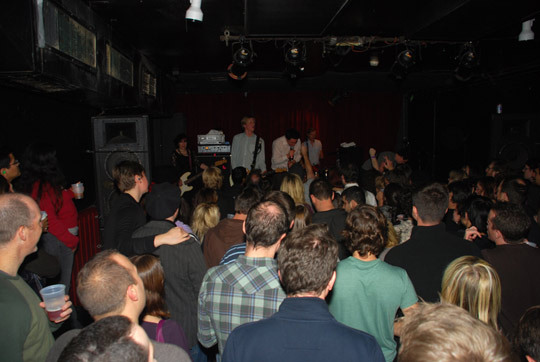 Was Todd-O working at Maxwell's yet at this show? I just looked up the Replacements' 1986 SNL appearance and was surprised to see the recently expired Harry Dean Stanton introducing them. Oddly, I came into Mats orbit quite late, Don't Tell A Soul ... so I love Back To Back, Rock N Roll Ghost, etc. I also enjoy backgammon and birdwatching. Really was impressed with Bob Mehr's book. He didn't try to sugarcoat what a d#ck Westerberg could be or his knack for self-destruction. omg, now that I see For Sale... i was at that show among others. Jeez, what a line up on that SNL! Joe, I was at the '86 Mats Maxwell's show BUT it was sold out, so I stood outside the glass window in back and heard the whole thing! Tried peering in between the cracks in the blinds, but it was so packed, hot & sweaty in there that the windows fogged up, ha ha! ziggy Stardust made my night!!! Great show Joe. I've been in a Replacement studio in Clifton; love them! Man, these cuts sound great. i was not a fan of the replacements albums. but now i know what i was missing. Though I was hoping they completed "Fox On The Run". Their slow, country & western version of Goddamn Job was a maddening live favorite of mine. This is great. My favorite band. Thank you for hosting Bob Mehr, Joe. What year at the Michigan Theatre (Ann Arbor)...1986, 1987? The space at Maxwell's (thanks, joe) is reminiscent of Merlyns, In Madison, WI. Tight, sweaty and amazing. Joe - i'd be a liar if I was to say I was a huge Replacements fan. That said, this is a fantastic interview! That was great, Bob and Joe. Thanks! I saw Petty in Jersey (Brendan Byrne Arena?) in '85 but 'Til Tuesday opened. Saw Petty in Santa Monica late '70s, but I don't think it was the NYE show of '78...or was it? Missed Petty at the Whisky around the time of the first album. Walked right past, declined to go. Just moved to Petty's hometown. Heard many people of all ages break out into Petty songs this weekend. oh, yeah, When the Time Comes -- one of those stealth Petty gems. Tom was an American original..
Hey Joe, if you're continuing with the Petty theme, how about "Magnolia" from the second album? Another great one, Joe ( and Bob). Didn't think about the juxtaposition with Petty. When I think Petty I also think Dwight Twilley, label mates at the outset. Leon Russell was one smart guy. He also released Larry Hosford's first two albums. RIP, LH. There is a live version of Breakdown where the audience sings the chorus to Tom and he has a classic comeback: "You're gonna put me out of a job,"
Tom's mastery of in-concert call-and-response was one of the reasons the Mats were so negative -- they just wouldn't do it, but at the same time, they realized, Paul did anyway, that writing a song where 20,000 people sing along in unison is actually a goal to be pursued and was out of their reach. Hey @JoeB just joined.....gonna have to go back into the archive to catch the early part of this great show! It took my old age to finally to really appreciate Tom Petty. do not get Tom Petty & H. Sorta blech. Esp if one loves Mats. I always thought the Petty cover of "Something in the Air" was so spot on. It's like the song was written just for him: tempo, vocal register, delivery, melody, etc. "Magnolia" always one of my faves. Love the Twilley backing vocals. no, I have to take a break from show during the Petty. But thanks for all your great shows, Joe!!! Joe , you brought it .....again ! More Petty songs and a Warren Zanes interview on efd's show last Wednesday: www.wfmu.org... Also: Thanks, Joe. Yeah, Joe! In this set and in the past week I heard so many Petty tunes that I had forgotten about and new tunes I hadn't heard. He was one of the R-n-R greats. recently just started getting into dwight twilley. he's the best! I didn't really know about the Petty/Seymour/Twilley connection. So cool. Makes perfect sense, too. tom petty forgot more great songs than most people ever wrote. Wow, that Seymour cover ("Surrender") was sweet. Reminds me of one of my favourite descriptions, "Shelter-era Tom Petty." dennis i know you will really dig the next 2 tunes coming up! Wow, I haven't heard this tune in yeeeurs! I seem to remember a cheezy MTV video. The People's Power Pop Champ! Wow, Del Shannon, another Petty collab that I didn't know about. Good stuff. oh yeah! boy, I miss Del. anyone out there see his '82 Bottom Line date when he was promoting "Drop Down And Get Me"? one of the best shows ever! on par with Freddy Cannon! One thing all these tunes have in common: the snare sounds like it was wrapped with an entire roll of duct tape! ooh. this out of time is fabulous. I always wondered why studio greats didn't get endorsement deals from Scotch™ Brand. This is so great, Joe. One of my fave Stones songs, too. and i don't get why they don't call it gaffer's tape. it's useless for wrapping ducts. That was nice. Maundy was kinda Monkee. felder had another song besides heavy metal? does matt warwick know this? Sorry Joe, can't take any more Petty. I'm bailing! irish exit would have sufficed there! This here is Another Show for the ages, Joe. BTW the Stomp wasn't the same without you. But, it was still pretty F'ing Cool. Great show, Joe! I'm in G'ville at the moment and will pass the archive around to the locals! Not bailing!!! Sitting in my car. Waiting to hit the Green grocer but can't tear myself away. F_in great tribute. Tremendous show today, Joe!! Thank you! Nice hangin' with you and the Three Chorders today, Joe. That was a great show! Thanks! Really splendid show, especially that "out of time" version. How did I go nearly 50 years without hearing Dwight Tilley?